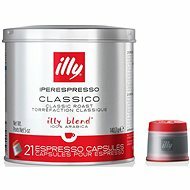 ILLY iperEspresso MonoArabica Brazil coffee capsules are perfect for anyone who wants to enjoy rich and fragrant coffee without having to go through long and complicated preparation. Each capsule contains 7g of high-quality medium roast ILLY coffee. Sit back and have taste of this 100% Arabica coffee blend. Experience its unique, full flavour with subtle notes of chocolate and enjoy its intense aroma! The pack contains 21 capsules, stored in a practical can. For shipping to other EU countries visit this page ILLY Iperespresso Monoarabica Brazil. Chcete doručit zboží do Česka? 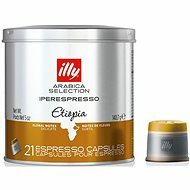 Prohlédněte si ILLY Iperespresso Monoarabica Brazilie. Chcete doručiť tovar na Slovensko? Prezrite si ILLY Iperespresso Monoarabica Brazilia. 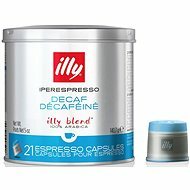 Für Versand nach Österreich, besuchen Sie bitte Kaffee-Kapseln ILLY Iperespresso Monoarabica Brazil. Magyarországra történő kiszállításért tekintse meg ezt a termékoldalt: ILLY Iperespresso Monoarabica Brazilie.